When the New Year comes around, everyone sets resolutions… but how many of you have actually stuck to your resolution? Resolutions often don’t work because they’re set at the start of the year, without much consideration for longevity and sustainability. Instead of setting a resolution, I urge you to think about the entire year and a change that would bring about long-lasting improvement. Start with these 4 strategies to tackle top trends so they become long term resolutions. Although many carriers embed telehealth services with major medical, they charge a consultation fee. Bundling a telehealth benefit with $0 consult fee with other products like health advocacy provides a more robust solution that saves employers more money. Without a per visit consult fee, employees utilize the benefit more frequently, driving more value for both the employer and employees. Benefit Diversity: By identifying the problems that employees struggle with the most, and offering benefits that give them the tools to overcome these obstacles, employers can achieve a positive user experience as well as benefit variety. This can include services like long term care, student loan assistance, personal financial planning, and pet insurance. Data Security: With more than 15 million victims per year, identity theft continues to be a growing concern, not only to the individual, but also to employers.2 Individuals affected by identity theft are four times more likely to utilize medical benefits and are absent from work five times more than usual.2 There are a variety of identity theft monitoring and resolution services available to help employers sustain productivity in the workplace when a cyberattack happens. Caregiving Support: The struggle to manage caregiving on top of everyday life is stressful and can cause employees to be absent or not fully present at work. More than one in six full-time employees care for an aging loved one, but lack the resources to properly manage the many aspects of caregiving.3 Our Caregiver Support benefit gives employees access to a healthcare coach so they do not have to face caregiving hardships alone. To complement this benefit, consider offering legal aid, Worklife services or medical equipment savings. The AARP also provides many valuable resources and information for caregivers. As employees continue to tackle life’s obstacles, it’s important that employers provide them with the best tools to ensure health in the workplace while supporting company efficiency and growth. As benefit trends shift in 2018 and there is a higher demand for new solutions, consider these strategies for your clients. So, I leave you with one question. Are you prepared for the latest trends in 2018? Copyright © 2018 by New Benefits, Ltd. All rights reserved. 3 Gallup-Healthways Well-Being Index, 2011. Did you know you’re at risk of identity theft when you shop online, go to the doctor, or even sign up for a social network? Every 2 seconds there’s another victim. In other words, it’s not a matter of if, but when your identity will be stolen. Think about the major data breaches that have plagued society in the past few years. They have exposed millions of consumers’ personal information. Target. The Home Depot. LinkedIn. The IRS. Anthem. The list goes on and on. And it gets worse. 1 in 5 victims of data breaches experience fraud. Dealing with fraud is a complete nightmare, especially when you’re doing it on your own. It takes an average of 6 months and 200 hours for an employee to restore their identity. Fraud also takes its toll on their employer. When do you think employees will need to make the phone calls to restore their credit? During business hours, of course. Stress: 1, Productivity: 0. It’s time to inform your clients about the potential productivity loss due to identity theft and introduce a product to help protect their employees. ID Sanctuary Premium warns employees if any suspicious activity is found as they monitor their personal information in a myriad of ways including change of address, court records, credit scores, public records, chat rooms and websites. And if an employee experiences fraud, one call to ID Sanctuary will connect them with a fraud specialist providing unlimited restoration support. Visit our website or call us to discuss how to start offering this program to your clients. Copyright © 2016 by New Benefits, Ltd. All rights reserved. Sources: “2016 Identity Fraud Report: Fraud Hits an Inflection Point,” Javelin Strategy & Research. Federal Trade Commission. When you take the pulse of today’s healthcare providers, you’ll discover they face an onslaught of challenges: stiff competition, shrinking insurance reimbursements, and lack of patient compliance with treatment plans. However, one of their greatest obstacles is the lengthy delay they experience in reimbursements from insurance carriers. Fortunately, we’ve got the perfect cure: non-insured benefits. Non-insured benefits can create a new profit center for healthcare providers. In particular, discount programs like dental or vision help providers get paid quickly. With these dynamic solutions, patients must pay the total discounted rate at the time of service. This means providers don’t have to worry about claims being denied or the time it takes to be reimbursed by insurance carriers. To top it off, non-insured programs often generate patient loyalty for a healthcare provider—particularly when the clinic offers a discount on their own services along with the benefit program offering. Case in point: We at New Benefits have a highly successful client who sells a benefit program within dentist offices. As part of the package, dental providers offer a discount on their services along with several other benefits. Not only does this keep patients coming back, but the dental office also generates monthly revenue from the membership program. Another example is a booming Texas-based urgent care center that offers a non-insured package to patients. They add thousands of new members per location each year, which has resulted in a major revenue boost for their organization (to the tune of several million dollars). This organization has also enjoyed an increase in repeat patients and higher utilization of their additional services, such as immunizations and school/sports physicals. To top it off, they use the program to differentiate themselves from other clinics in the area. Because they offer a healthcare discount program that saves their customers a significant amount of money, the urgent care center has gained a serious edge on their competition. In fact, they have become the go-to clinic for their community. In today’s tumultuous healthcare climate, many healthcare providers are in need of a fresh solution. Non-insured benefits could be the cure they so desperately need. These programs not only expand the services healthcare providers offer; they also increase provider brand recognition through a private label program. Additionally, non-insured programs offer immediate income for healthcare providers since patients must pay on the spot. Health providers have been discounting their services to insurance companies for years. This is their opportunity to “sell” this discount directly to patients—and in turn, generate more revenue and boost patient loyalty. Copyright © 2015 by New Benefits, Ltd. All rights reserved. America’s obesity epidemic is weighing heavily on our healthcare system, and employers are paying the hefty price. More than half (57%) of American workers now classify themselves as overweight, up from 55% last year. To make matters worse, obesity can lead to costly healthcare issues, from heart disease to diabetes. In fact, obesity now exceeds smoking as the most expensive health threat in America, adding a whopping $190 billion to the national healthcare price tag each year. Unless employers want to foot the bill for these pricey health problems, it’s in their best interest to help employees slim down and get fit. Now is the time for brokers to introduce creative programs for employers to encourage healthy behaviors—and in turn, tighten the belt on healthcare costs. Biometric screenings are an effective way to discover employee health issues before they become major problems and cost the employer big bucks. Because these screenings often catch health risks early on, employees have time to seek medical attention and change their habits. Perhaps that’s why the percentage of employers offering Biometric screenings have leaped from 29% to 41% this year. The number of employers offering health or fitness challenges jumped from 52% in 2012 to 59% in 2014. These challenges tap into workers’ competitive spirit and motivate them to get fit. Here at New Benefits, we hold a yearly Slimpossible contest where employees create teams and win cash for the highest percentage of weight loss. Contestants weigh in every Friday. They must pay one dollar if they gain weight or five dollars if they choose to skip the weigh-in. It’s a great team-building exercise and a fun way to make employees more mindful of their eating and exercise habits. According to Optum, 80% of wellness budgets have increased or stayed the same this past year, and it’s no wonder why. 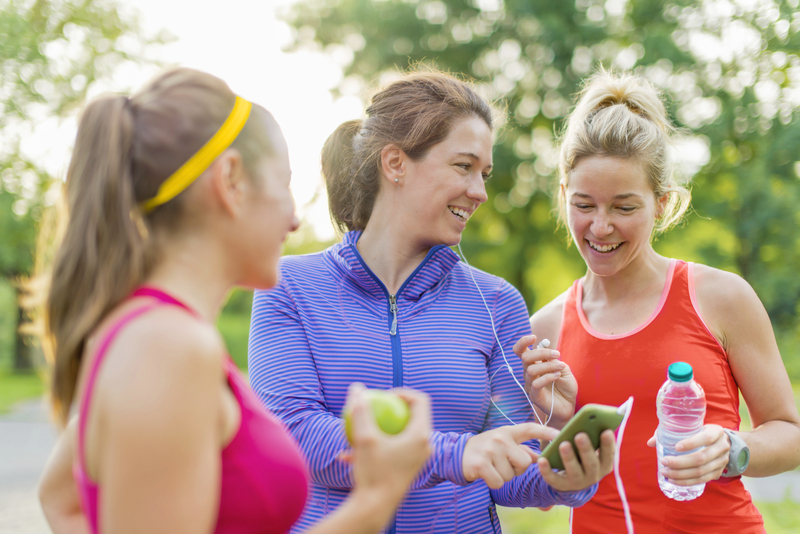 Wellness programs help employees stay fit and maintain a healthy lifestyle. At New Benefits, we offer two distinct wellness solutions. First, there’s Health Wealth Connection, a comprehensive information resource for employees looking to improve both their physical and financial health. Since financial stress can unquestionably lead to poor physical health, employees benefit from having unlimited access to articles and videos from experts like Suze Orman and Deepak Chopra. Secondly, we offer MyEWellness, another creative solution that provides employees with personalized fitness plans, guided assessments and health-related articles and tips. Of course, these are just a few ways employers can encourage workers to stay healthy, happy and productive. Employers may also consider providing healthy food options at the office. For example, New Benefits provides employees with nutritious breakfast options including fruit, yogurt, oatmeal and granola bars every Friday. This is a cost effective way to get employees thinking about what they eat—not to mention a powerful way to boost morale and productivity. According to a survey of 3,105 full-time non-government and not self-employed workers aged 18 and over by the Harris Poll on behalf of CareerBuilder.com between February 11 and March 6, 2015. In today’s health care climate, employers are searching for new ways to help employees stretch their health care dollars. Self-insured employers in particular have every reason to encourage workers to tap into their HSA and HRA plans whenever possible. In fact, HRAs and HSAs have grown increasingly common in recent years. While HRAs have held steady (8.6 % of employers offered the plans in 2013), HSAs are skyrocketing in popularity. In 2013, the number of employers offering HSAs jumped to 15.1%, and employee participation in HSAs rose to 8.8%. So, how can employers help employees stretch their health care dollars, including those spent through their HRAs and HSAs? Here are four non-insured benefits designed to do just that. In most cases, traditional vision insurance is nothing more than a prepayment plus an administration fee—and thanks to limitations, employees often incur out-of-pocket expenses on eye care and eyewear purchases. This is where vision discount programs like Coast to Coast Vision™ can help. These discount programs offer employees major savings on eye exams, glasses, contacts and even LASIK surgery after they have exhausted their insurance benefits. With dental insurance plans, employees not only have to shell out monthly premiums, but they often have to pay out-of-pocket expenses on dental care as well. However, dental discount programs like Aetna Dental Access® can fill in the gaps by offering employees deep discounts at thousands of dental practice locations nationwide. Even if employees have health insurance, many of their medications are not covered under their plan—and some workers simply cannot afford to pay for these expensive prescriptions out-of-pocket. This is why a non-insurance prescription discount program can be incredibly valuable. The prescription discount program offered by New Benefits provides anywhere from 10 to 85% savings on prescription medications. To top it off, this prescription program extends the life of an HSA or HRA by lowering the cost of prescription drugs for employees. Telehealth provides employees with 24/7 access to medical care. With this benefit, employees and their families can consult with a doctor about non-emergency medical issues over the phone or by video consult, and physicians can prescribe medication when necessary. When brokers partner with New Benefits to promote Telehealth, they can select a $0 consultation fee. This means employees do not have to pay a single cent to call a physician. This gives employees every incentive to call the doctor for minor illnesses instead of paying a primary care, urgent care or Emergency Room co-pay. Want to learn more about the phenomenal cost savings non-insured benefits offer? Check out our infographic or contact us today! Bueller? Bueller? How Much Do Absent Workers Cost Employers? We all know absenteeism negatively impacts a company’s bottom line—whether the absent employee is legitimately ill, taking care of a sick child, suffering from job burnout or just playing hooky. In fact, when you consider both the direct and indirect expenses, the total cost of paid time off in the U.S. adds up to more than 20% of payroll . To add insult to injury, absenteeism leads to countless other issues, including increased workload, higher stress, disruption in work for others, a drop in morale and lower quality of work. However, there’s an even more dangerous contagion spreading across the corporate world: presenteeism. This is the term used to describe when employees continue to come to work while they’re suffering from illness or dealing with legal, financial or insurance issues. Although physically present, these employees are so distracted and “out of it,” their productivity level is at rock bottom. Although the numbers aren’t in just yet, presenteeism may be even more costly to businesses than absenteeism. In fact, some employers believe presenteeism results in about four times more in hours lost. To make matters worse, a Gallup poll  shows 24% of workers are actively disengaged—another form of presenteeism. When it comes to battling absenteeism and presenteeism, an ounce of prevention is worth a pound of cure. One way employers can proactively combat these issues is by offering employees non-insured benefits, such as Telehealth, Doctors Online, Roadside Assistance, Legal Services, Health Advocate and ID Theft Protection. All of these helpful benefits offer solutions to workers who may otherwise take the day off to see the doctor or deal with personal issues—or even worse, show up to work sick or distracted. For example, Telehealth and Doctors Online prevent absenteeism by providing employees with 24/7 access to medical care. I personally have used Telehealth many times to get a diagnosis and prescription for my son after hours. This benefit has saved me from missing quite a few days of work. ID Theft Protection is another way to combat absenteeism. Employees who are victims of identity theft often take time off of work to deal with their issue—or they’ll show up at the office and deal with the issue during work hours. With an identity theft protection benefit, employees have the professional recovery assistance they need to handle their problem in an effective and timely manner. It’s time to take a stand against two of the most dangerous epidemics in today’s corporate world: absenteeism and presenteeism. As a broker, you can help employers fight these issues through the use of non-insured benefits. According to Gallup’s State of the Global Workplace report. The report highlights findings from Gallup’s ongoing study of workplaces in more than 140 countries from 2011 through 2012. I recently read an article in USA Today stating U.S. employers are planning to give pay raises averaging 3% in 2015 . The same article also pointed out inflation is currently about 2.1%—which means most employees are barely keeping ahead of inflation. In today’s economic environment, we’ve realized it’s more important than ever to offer innovative benefits and valuable employee perks to retain talent. A U.S. Employee Benefit Trend study found employees who are very satisfied with their benefits are more than twice as likely to report being very satisfied with their jobs . For employers who can’t afford to offer employees hefty pay raises, there are countless other ways to compensate employees to keep them happy, engaged and productive. At New Benefits, we offer several employee perks including monthly cash rewards for employees who go above and beyond job duties. But perks don’t have to be money-related to be effective. Our employee break room is stocked with free K-cup coffee for everyone to enjoy—a seemingly simple perk employees rave about! Another unique option for employers to explore is our Instant Deals program, which gives employees access to major discounts at more than 200,000 retailers—from restaurants, clothing stores, hotels, movie theaters, home and garden stores and more. With this limitless perk, employees can save as much as half off the sticker price. It’s incredibly easy to use. All they have to do is show digital coupons on their smartphone at the retailer to save. Employees can also shop online for instant savings. Another popular perk we offer is Roadside Assistance, a towing service that’s available to employees 24/7/365. This program is a lifesaver for employees who find themselves stranded on the side of the road with a flat tire or disabled car. This service is also available for the member’s spouse and dependent children. Increasing compensation for your employees does not always mean giving them a pay raise. In fact, many employees don’t just want perks these days—they expect them. What are some different ways you provide creative perks for your employees? Share in the comments below. According to a survey of nearly 1,100 U.S. companies out Monday by compensation consultant Towers Watson. If you’ve filled a prescription recently, you were probably shocked by the price tag. U.S. drug prices are on the rise, with some specialty drug prices skyrocketing at extraordinary rates—and healthcare consumers are feeling the squeeze. In fact, a branded drug that cost $100 in 2008 now costs $197. Even generic drugs are getting pricier. Today, more than a third of available generic drugs cost insurers and consumers more than $100 per prescription. Unfortunately, the storm is just beginning. According to a health plan cost trend survey from benefits and HR consulting firm The Segal Group, respondents predict higher trend rates for all prescription drug plans in 2015. To make matters worse, deductibles are also mounting. In 2015, 32% of large employers will offer only high-deductible plans, up from 22% in 2014. Because so many employees fail to meet their ever-increasing deductibles, many consumers are forced to pay for high-priced prescriptions out-of-pocket. When I recently sat in a New Benefits senior management meeting, I discovered our company would once again endure a 15% increase in premium costs. It’s a harsh reality to face, but we worked together to find the best way to take care of our employees while protecting the bottom line. Like countless other companies, we settled on raising the deductible. Our employees will see a $5,000 deductible for 2015. Yet, many employees will never meet that deductible, which means they’ll have to dip into their own wallet to pay for prescriptions. Fortunately, there is a solution—and it comes in the form of one small card. Our discount prescription card helps consumers weather the storm of increasing out-of-pocket expenses by providing a second option when paying for their prescriptions. As a consumer with a high deductible health plan, I don’t automatically purchase a prescription using insurance. I always present both my insurance card and discount card to find the lowest price because every dollar counts. As deductibles and prescription prices continue to soar, employers are searching for creative ways to help their employees pay for medications. 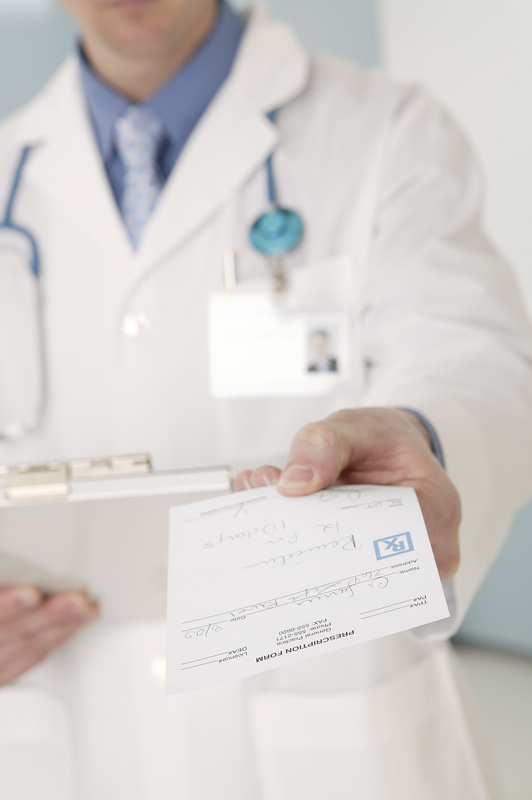 If you’re searching for new solutions to offer your employer groups and their cash-strapped employees, look no further than our pharmacy card. This one small card is the umbrella consumers need at the pharmacy. Copyright © 2014 by New Benefits, Ltd. All rights reserved. Posted in Bloggers, Marti Powles, Uncategorized on January 7, 2015 by newbenefitsblog. Haven’t Been Hacked Yet? It’s Only a Matter of Time. Everywhere we turn, there’s another news story about a security breach at a major U.S. retailer or financial institution. Surprisingly, many of these companies had anti-hacker systems in place, but cyber criminals have discovered how to outsmart these technologies. Identity theft is spreading like wildfire, impacting millions across the nation. In the past year, the personal data of 110 million Americans—half of U.S. adults—was compromised in some shape or form. * There’s no such thing as unbeatable cyber security—which is why we must be vigilant in monitoring our personal data and encouraging our clients to do the same. I recently spent two days at an identity theft protection conference, hearing personal stories from journalists, security experts and regulators. I picked up useful tips and preventive measures to better protect myself and my company. I shared this information with employees at New Benefits and felt I had a responsibility to share it with our broker community as well. Today’s crafty cyber criminals are getting more imaginative, especially when it comes to nabbing personal data on smartphones and tablets. Cyber security experts say it’s inevitable that your personal information will be stolen—whether it’s your credit and debit cards, tax information, healthcare records or online bank account. No matter the size of your business, you must prepare for the possibility of a data breach and proactively monitor the personal data of your customers, clients and employees. According to a Verizon study, 80% of hacking victims in the business community didn’t realize they’d been hacked until they were told by government investigators, vendors or customers. If you think hackers only target large companies, you are wrong. Small businesses are at risk as well and need to work with identity theft protection companies to protect their customers’ data. Encrypt business and customer files using modern encryption software. Install robust anti-malware software on your business computers. Use a password manager—software that creates unique, strong passwords for each account. Educate your employees about phishing emails. Phishers stole $1 billion from small businesses in 2012. Keep backup copies of confidential files in case the data is stolen or destroyed. Proactively monitor your personal data and have a strong company behind you in the event something does happen. No different than an alarm system at your home, have an identity theft protection program monitoring your personal identity. Small businesses should work with a consultant to strengthen security measures for customer data. Until next time, stay safe out there. Posted in Bloggers, Marti Powles on December 10, 2014 by newbenefitsblog. As employers gradually shift the financial burden of health insurance to employees, it’s become more critical than ever for workers to do their homework and carefully manage healthcare expenses. If employees don’t learn how to price comparison shop for costly medical procedures, it could create increased financial burden and stress. In the past year, we’ve seen a trend spreading throughout the benefits world: Employees are becoming increasingly responsible for footing their own healthcare bills. In fact, 56% of companies increased employee copayments and/or premium shares in 2013 and 59% say they plan to do the same before the end of 2014*. To top it off, 19% of companies switched to a combination of health savings accounts and high-deductible health plans. According to the WorkForces Report, employees say they regularly underestimate the cost of most medical procedures. When asked whether they could cover just part of the cost of major medical treatments or surgical procedures, 53% of employees said they’d have to borrow from their 401(k) or use a credit card. That’s no surprise considering 49% of surveyed workers say they have less than $1,000 on hand to cover out-of-pocket expenses associated with a serious illness or accident—and 27% have less than $500. Some of these employees are already struggling to pay their medical bills. In fact, 13% have been contacted by a collection agency about outstanding medical bills and 10% say their inability to pay expensive medical bills has had a negative impact on their credit scores. So who is going to teach these employees how to manage skyrocketing healthcare costs? Most employees (68%) believe their companies will educate them. Yet the majority of surveyed employers (60%) say workers should be more responsible for educating themselves about benefit options. Sounds to me like a recipe for disaster. In today’s changing healthcare climate, employees and employers need to share the responsibility for both healthcare costs and good decision-making. It’s important to do your research and tap into the valuable resources out there. I’ve listed a few of these resources below. With these and countless other resources available online, employers and employees can stay informed and keep medical costs in check. When it comes to healthcare, a little bit of research goes a long way. *According to the 2014 Aflac WorkForces Report. Posted in Bloggers, Marti Powles on November 19, 2014 by newbenefitsblog. Introducing the New Benefits eBook! Our eBook captures the thoughts and opinions of senior leadership at New Benefits including CEO Joel Ray, COO Marti Powles, EVP of Global Sales Brian Latkowski and EVP Dulce Bozeman. This first issue is a collection of the blogs and infographics published here on blog.newbenefits.com from July through August 2014. Created for our marketers and prospects, the blogs discuss current events and trends related to the non-insured benefits industry. Subscribe with your email address, so you’ll never miss out when a new blog is published. Posted in Bloggers, Brian Latkowski, Case Studies, Dulce Bozeman, Infographics, Joel Ray, Marti Powles, Sandy Heard, Sandy Heard, Uncategorized on October 15, 2014 by newbenefitsblog. There is no mistaking it. Today’s Americans are on heightened alert regarding their health. They want immediate answers. The question is, where are individuals finding these answers and are they reliable? From the first confirmed case of Ebola hitting the United States to the mysterious HEV68 virus impacting countless children nationwide, the need for factual, accurate information is stronger than ever before. It is time we – as informed health benefit professionals – collectively take responsibility of this mounting issue and start guiding consumers toward valid information and away from the misinformation spreading faster than these diseases. Social media has become a trusted platform for up-to-the-minute news and information. From Facebook to Twitter, there has been a shift within the last decade towards increased public engagement with news stories. However, with immediate communication comes a perpetuating amount of shared half-truths and rumors, causing a virtual hysteria that 140 characters or less cannot sufficiently defuse. According to a Harvard School of Public Health poll, a staggering 39% of Americans thought an Ebola outbreak would come to the United States, and 26% were concerned that they or a family member would contract the disease. Individuals were even going as far as to say the Ebola virus was one large conspiracy theory created by the United States government. In an effort to combat this social media frenzy, the U.S. Centers for Disease Control and Prevention held a question and answer session on Twitter to address American’s Ebola questions, comments and concerns. Talk about a real-time media mess. So what can we do to help clear up the confusion? As health benefit marketers, brokers and advisors, we must educate and arm our clients and their members with services that provide accurate and precise information. Are you offering valuable benefits such as Doctors Online and Nurse Hotline? Members can email medical professionals through the secure Doctors Online website and a physician will respond with answers and provide trusted articles for further reading. This prevents individuals from obtaining medical answers through the Media. In uncertain times, it is imperative we promote such benefits, giving consumers the power of knowledge and more importantly, peace of mind. We must step up to the plate and educate consumers on all readily available healthcare options. Resources such as discount benefits and credible websites such as the World Health Organization (WHO) and the U.S. Centers for Disease Control and Prevention (CDC) put control back in the hands of the consumers and help alleviate unnecessary concern. Posted in Bloggers, Marti Powles on October 10, 2014 by newbenefitsblog. Can I Get a Price Check? It was an ad for a car dealership, but it got me to thinking: Why aren’t consumers doing their research about healthcare costs? Why wouldn’t you compare prices before going to a new doctor or signing up for an expensive medical procedure? There are plenty of resources available to help employees research healthcare costs. Unfortunately, far too many consumers either don’t know about or have access to these resources. Two-thirds of surveyed workers said they thought their employers would educate them about changes to their coverage as a result of healthcare reform provisions, according to the 2013 Aflac WorkForces Report. Unfortunately, a mere 13% of surveyed employers said educating employees about healthcare reform was important to their organization. To make matters worse, Bankrate.com predicts the average household will pay $3,301 in annual out-of-pocket healthcare expenses in 2014. Yet 46% of employees have less than $1,000 in savings to tap into for an unexpected serious illness or accident, and 25% have less than $500, Aflac reports. 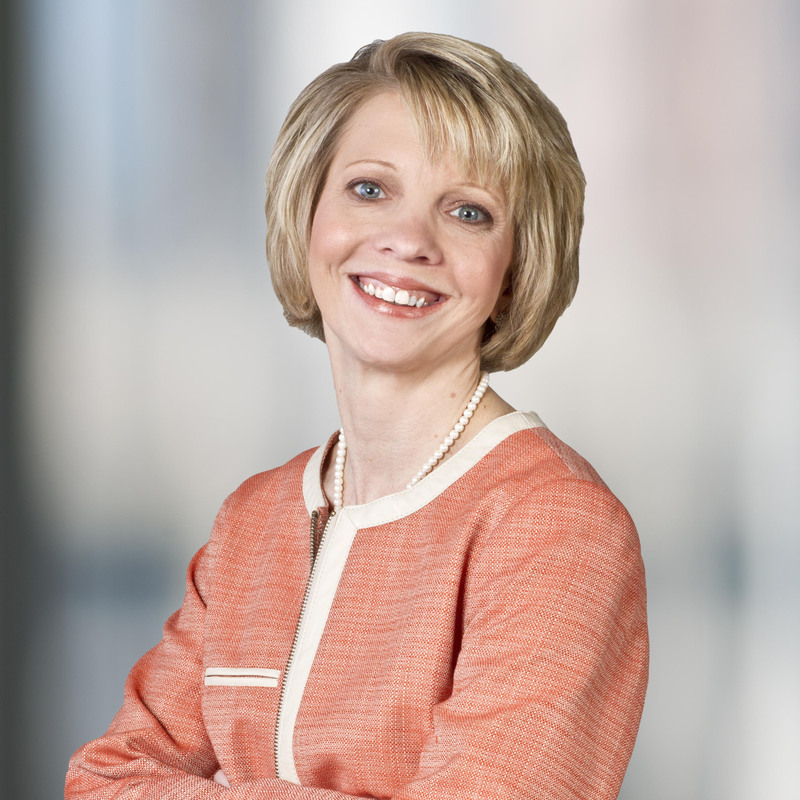 “The bottom line is if consumers aren’t educated about the full scope of their options, they risk making costly mistakes without a financial back-up plan,” said Audrey Boone Tillman, executive vice president of Corporate Services at Aflac. In the end, this is bad news for the employee and their employer. As I mentioned in my last blog, financial problems are a major distraction for employees, leading to higher absenteeism decreased focus and engagement on the job. The goal of healthcare reform was to provide Americans with more healthcare options—but the vast majority of consumers aren’t prepared to take the wheel, and they lack the proper education and guidance to make these choices. Because most consumers don’t know how to price compare medical services, they’re flushing thousands of their hard-earned dollars down the drain. For example, the cost for an uncomplicated childbirth at hospitals throughout the New York City area range between $9,699 and $29,076. That’s a staggering price difference! Why on earth would you pay $25,000 for medical care when you could get the exact same care for $10,000? Would you buy a flat screen TV for $2,000 from the electronics store near your house if you knew the exact same TV was available at a store 10 miles away for $750? Of course not! You’d make the relatively short drive to save a whopping $1,250. Just like when they’re out shoe shopping or searching for furniture deals, it’s up to consumers to compare prices before they sign on for a major medical procedure. However, it’s up to their employers to offer them the guidance and resources they need to do so. There are many non-insured benefits designed to make employees better healthcare consumers. If you are not already presenting these products to your employer groups, now is the time to start. After all, a financially secure employee is an engaged and focused employee. Posted in Marti Powles on September 24, 2014 by newbenefitsblog. In my last blog, I discussed how employee stress is costing companies a bundle. But what is the most common cause of anxiety in the workplace? In many cases, legal issues and financial problems are the source of employee stress. In fact, nearly two-fifths of HR professionals say employees have missed work due to a financial emergency in the past year, according to a Society for Human Resource Management (SHRM) survey. And it’s really no wonder why. The majority of employees don’t have a lawyer on retainer to help them tackle unexpected legal issues; and many of them don’t have a CPA or financial planner to help them manage their finances. Financial Counseling: In an American Psychological Association survey, 73% of respondents cited money as a significant source of stress in their lives. This is no surprise considering an estimated 1 in 3 adults with a credit history (77 million people) are so far behind on debt payments, their account has been put “in collections,” according to an Urban Institute study. A financial counseling program is the perfect solution for cash-strapped employees. Through these programs, employees receive confidential advice about debt consolidation, health care expenses, credit cards and more. Budgeting Programs: Many employees are stressed about money simply because they don’t know how to budget. In fact, only 32 percent of Americans prepare a detailed written or computerized budget each month, according to a Gallup poll. An employer sponsored budgeting program can teach employees how to create and stick to a budget and determine how spending decisions today will affect their financial health tomorrow. Legal Programs: From civil lawsuits to child custody cases to divorces, employees are contending with increasingly stressful and expensive legal issues. The average cost of divorce in the U.S. has mushroomed to $15,000, and lawyers cost an average of $285 an hour these days. Employers can help ease this tension with a legal benefits program. These programs offer employees free or discounted rates on professional legal services. I was recently chatting with our VP of Human Resources, Sandy Heard, about why these financial and legal programs are so important. Over the years, Sandy has dealt with many employees who wanted to take out a loan against their 401(k). When dealing with these employees, Sandy tries to explain a loan is a temporary band aid—not a long-term solution. Sadly, the majority of employees need the loan because they are behind on expenses, so it basically comes down to poor financial planning. She encourages them to revisit their finances by talking to a counselor and using a budgeting tool—all programs we offer our employees at New Benefits. Oftentimes, employees also go to Sandy with legal issues. She says it’s difficult for her to help, given she has no legal background. She often directs these employees to our discount legal program. This program gives them access to a qualified network of attorneys for one-on-one consultations, legal document review, welfare and INS issues, representation in small claims court, wills, traffic tickets, bankruptcy, divorce, spousal and child support. Scientist and stress expert Hans Selye once said, “It’s not stress that kills us; it is our reaction to it.” In my opinion, the best way for employers to react to stress is to help their employees manage it. In the end, these stress-reducing programs will boost employee productivity and morale, shrink healthcare costs and increase the employer’s bottom line. STRESS: How Much Does it Cost? The Affordable Care Act was designed to reduce healthcare expenses, but it doesn’t address costs caused by stress. Countless studies show stress increases the risk of health conditions like obesity, heart disease, Alzheimer’s, diabetes, depression, gastrointestinal problems and asthma. Stress can also weaken an employee’s immune system, making him more susceptible to colds, flu and other infectious diseases. Employers cannot rely on government policies to reduce the costs associated with stress– this can only be achieved through education and behavioral change. Having been part of the New Benefits executive staff and responsible for company-wide work output for more than 20 years, I have seen how financial and emotional stress burdens employees who are struggling to stay focused and productive at work. Their stress continually pulls their attention away from their job. Of course, this phenomenon isn’t unique to New Benefits. A whopping 83% of Americans say they are “stressed out” at work, according to a recent Harris Interactive study. That percentage has gone up by 10% since 2012. Skyrocketing Healthcare Costs: Stressed employees rack up 46% higher healthcare costs than their more relaxed co-workers, according to the National Institute for Occupational Safety and Health (NIOSH). An incredible 60% to 90% of doctor visits are attributed to stress-related illnesses and symptoms. Decreased Productivity: More than half (55%) of American workers admit to being less productive as a result of stress, according to the American Psychological Association. Many of these employees are anxious about their finances, which drains their time and energy on the job. According to a Society for Human Resource Management survey, 40% of American workers worry about personal finances at work, and 29% spend time dealing with their personal finances during work hours—up to three hours a week! What can companies do to relieve some of this stress and keep employees healthy, productive and engaged at work? Employers can offer employee benefits that encourage health and financial wellness. For example, New Benefits offers our employees an interactive wellness program which encourages behavioral changes to improve their physical, mental and financial health. This program features engaging tools for journaling, setting goals and tracking progress. As a result of this program, I have seen improvement in our staff’s stress awareness and morale. To combat financial stress, employers should also offer a budgeting program. Because employees often don’t know where to begin with creating a budget, it’s important to provide a tool that begins with a budget template instead of a blank page. Employees stand a better chance of reducing financial stress when they carefully track their spending through such a program. When an employer offers these types of benefit programs, workers will spend less time feeling stressed on the job and more time focusing on their work. This leads to higher productivity, enhanced engagement and happier employees—which all comes together to boost a company’s bottom line. What’s the Most Valuable Service You Can Offer Your Customers Right Now? Healthcare 101! As the healthcare industry undergoes tectonic shifts, employees aren’t just facing ever-increasing costs—they’re also becoming more responsible for their own healthcare decisions. As our CEO Joel Ray pointed out in his last blog, employer-sponsored premiums have spiked by an average of 5.9 percent per year since the Affordable Care Act passed in 2010. But perhaps even more disturbing than mushrooming prices is this eye-opening statistic: Only 14 percent of surveyed Americans have an understanding of the most fundamental insurance concepts, including deductibles, copays, co-insurance and out-of-pocket maximums, according to Journal of Health Economics. That means the vast majority of Americans don’t understand the basics of insurance—let alone the inner workings of the ACA. According to a recent study published in the Proceedings of the National Academy of Sciences, half of 6,000 surveyed Americans said they were unaware of the exchanges set up for people to find and purchase health plans—and among the uninsured, a full 64 percent didn’t know. Of course, this was not the goal with healthcare reform—and it’s not the way we’re going to repair one of our nation’s most major concerns. So what’s the answer? In the face of skyrocketing prices, employees must educate themselves and pay more attention to health care costs. And it’s our job to help them do it. I don’t believe anyone has found the perfect solution for how to make American employees more educated healthcare consumers. A lot of folks talk the big talk, but they don’t walk the walk. However, we at New Benefits are stepping up to the plate. Many of our non-insured benefits are designed around the idea of fostering informed healthcare consumers. Our goal is to offer products that help employers and employees navigate the increasingly complex healthcare system. Our products put employees in the driver’s seat, allowing them to take control of their own healthcare. For example, we offer a popular product called Health Advocate, which allows employees to pinpoint the most appropriate and cost-effective doctor for the type of treatment they need. This program assists employees with research to find the best solutions as opposed to settling for the first doctor their insurance company recommends. I’m not suggesting our benefits solve all our nation’s healthcare problems—but we are doing our part to provide employees resources to navigate the healthcare system. As a broker, employers are looking to you for advice and innovative new options in a rapidly evolving healthcare world. Let’s work together to solve your customers’ most pressing issues and educate our nation’s healthcare consumers. Posted in Bloggers, Marti Powles on July 16, 2014 by newbenefitsblog.